Organic skin care and toiletries brand Raw Organic is relaunching with a new name and expanding its product range. The development of the Rawganic name follows research by manufacturer Marshall Curtis with customers who say it is easier to pronounce and remember. Marshall Curtis managing director, Stephen Ley, said: "We've made it easier to pronounce. Customers were already abbreviating the name to Rawganic, so we've streamlined the name but lost none of the core, essential values of our products which are proving so popular with customers who care about what they put on their skin." 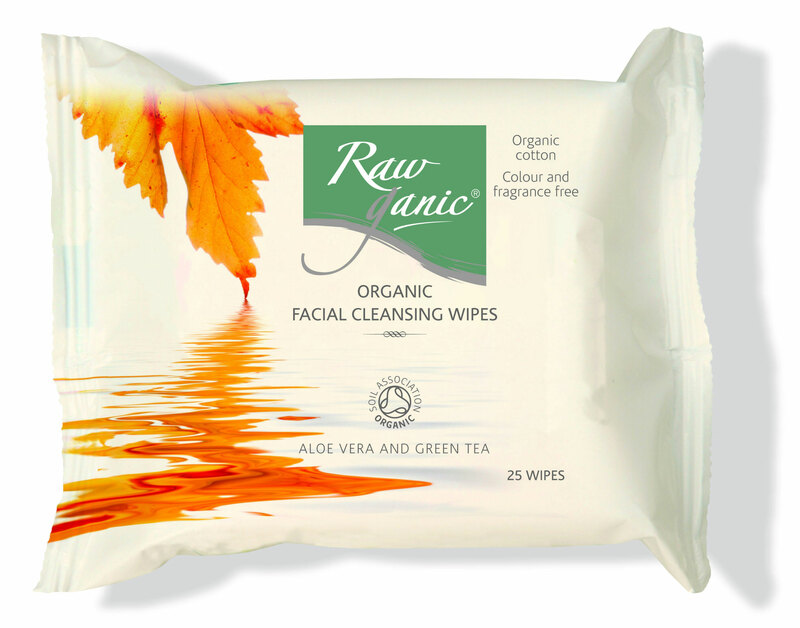 First to market under the Rawganic brand will be the company's new organic cotton facial wipes. Designed to make cleansing, toning and moisturising easy and simple, the facial wipes are tough enough to tackle everyday make-up and feature the soothing properties of aloe vera and green tea. Dermatologically tested and manufactured in the UK using biodegradable organic cotton from sustainable sources, they are colour and fragrance free and contain no chemical nasties. The range is also non-GM and has not been tested on animals. The facial wipes will cost £3.50 for 25 wipes. They offer excellent value for money and, like all products in the Rawganic range, are approved by both the Soil Association and the Vegetarian Society. They will be available from So Organic in the coming month. If you'd like to reserve some of the luxury new facial wipes, sign up here and we'll contact you when they arrive! Over the next few months, the Rawganic name and logo will gradually replace Raw Organic on packaging for the full product range, including the award-winning wild chamomile and olive hand and body lotion, bilberry and juniper conditioning shampoo, and apple and elderflower refreshing body wash.